Anyone This Dent Puller Before ? Big hello guys...just wondering if anyone's tried this dent puller from amazon? I watched the youtube clip below and sounds promising but any tried and tested tips is cheerfully accepted. Basically i have like a quarter sized dent on the back trunk right above the "Fit" logo, and two dings on the door..as you can see, one of those dings has also taken the paint with it. I got two dings in a week and its really annoying me because i didnt cause it and i have no idea how it happened other than to speculate loose gravel on the road. 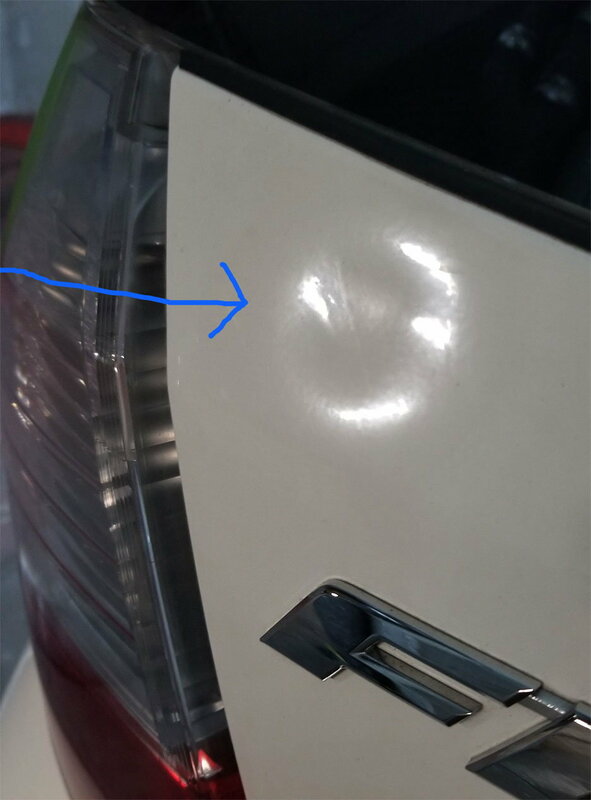 The bigger dent i got from a trucking company that was transporting my car stateside. Harbor Freight has some less expensive suction cups that work well. Just 'oil' them up with your fingers so they make a good seal. thanks spike55 - will look into it. Btw have you tried it yourself ? Yes, but this is a simple suction cup. There is no external frame to have more control over results. None of my dents: CIVIC, TUNDRA, FIT, MUSTANG had any 'sharp' impact point as pictured above. These dents were done by hands, knees, elbows, etc - soft / round. The HF suction cup was like $3, so for half nothing, I removed 90%-95% (not show room quality but good enough) of the dent in these 10-year old (Mustang is 1992) vehicles. 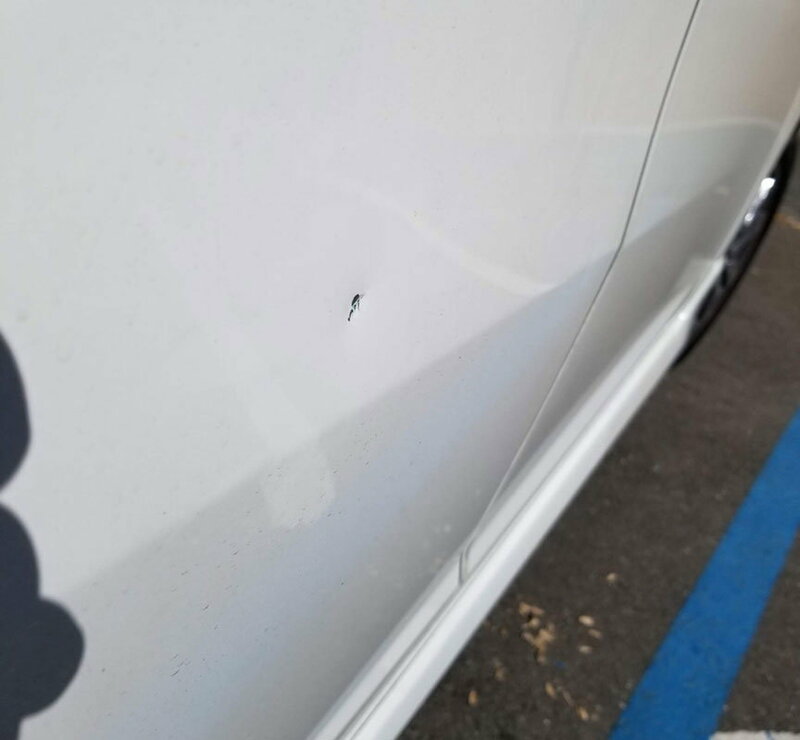 Small dent and getting it out?? a scratch in someone's back bumper. no dent. Brake pads change at 62K seem reasonable? Quick Reply: Anyone This Dent Puller Before ?